Replies: 329 (Who? ), Viewed: 73463 times. Welcome to the MTS Foundations Contest! This is intended as a fun contest that anyone can join - even if you don't think you're a great builder/decorator! Challenge yourself, and see what fun stuff others come up with, too! Please do not post an entry on this thread if you are not on the contestant list! You must be a Round 1 contestant to continue to rounds 2, 3, and 4. However, you can still post your entry in the Chat Thread! You are building a residential lot, on the foundation given. One foundation per round - four foundations total, so you'll be building four houses for this contest, one per week. While you are welcome to get as creative as you want in structure and style, you may not touch the foundation (besides adding textures to it) - you have to build around it. It's the "footprint" of the lot. You can build more than that if you like and have room for it - if you want to make it a 6 bedroom house with a rec room and study and garage (or whatever you want), go for it - you may not be able to show off everything for the contest though. You may build as many stories up as you want - it can be a single level house or more, your choice. You CANNOT add a basement, as this may require modification of the foundation. No, you can't add a WA non-foundation basement either. You do not have to cover the entire foundation in walls - if you want to leave part as a porch or whatever, you may. You may use build cheats such as constrainFloorElevation and moveObjects as long as you do not modify the foundation with them. It must stay the same height and shape. You may not use split levels to extend or modify the footprint of the lot as an alternative to using foundations. Nor can you do floating floor tiles to extend the footprint. The supplied foundation is the footprint you must use - that's why it's the theme of the contest, and not just "build whatever you want on a 30x30". You may not rotate the foundation on the lot, or put it on a larger lot. It needs to stay on a 30x30, with the front as shown in the images (bottom of the picture is the front of the lot). You can add a carport, garage, pool, gazebo, etc., as long as it does not modify the foundation, and as long as it doesn't add additional buildable living space - if you add an attached garage, for instance, it needs to just be for the parking space, and you can't build rooms on top of it attached to the main house. There is no limit on the price of the lot in-game. You'll need to be taking pictures of your lots you've built so we can see what you've made. Please make sure these images are AT LEAST 800x600 pixels so we can see them clearly. You may use larger images if you wish. Photoshopping: This contest is focusing on your building and decorating skills - not your Photoshopping skills. For this reason, please do not do any significant modifications to your pictures in Photoshop or similar image editors - you may crop, add a little text, borders, etc... but please keep it to an absolute minimum. Required Pics: For each round, you will be doing several pictures. Please do not collage your pictures together. You may move sims into the house to make picture taking easier. The sims may appear in the pictures if you want - or not, it's up to you. Street View: One picture of the lot from the outside, from the front, with all the levels showing, from a sim's eye view. Floor Plans: One picture of each level of the lot, from a high overhead view. If you have multiple levels, you may post these collaged together into a single image, or as separate images - your choice. Living Room: One picture of the living room, from a sim's eye view. Kitchen: One picture of the kitchen, from a sim's eye view. Bedroom: One picture of one of the bedrooms, from a sim's eye view. Three Bonus Pics: You may post up to three additional photos of whatever part of your lot you want to show off - another one of the bedrooms, a cute bathroom, the garden, whatever. These can also be additional angles of the living room, kitchen, or bedroom. Whatever you want. To focus on your skills at building and decorating and not your downloadaholicism, we're giving you a limit: No more than 10 pieces of custom content used on each lot! And there's a scoring bonus for using no CC (see below). If you DO use CC... you'll need to list what CC you've used, so we can count up for scoring - you don't have to have a link/credit, just indicate that it is CC, i.e. "CC used: Dining chair, dining table, custom pattern on table and chair"
A "piece" of custom content is: One particular item in the catalog. You can use any particular item as many times as you want and it still just counts as one. For example, one custom dining chair, used four times, would be 1 piece. Using its matching custom table would make it 2 pieces. Applying a custom pattern to them would make it 3 pieces. A custom counter and its matching island, and overhead cabinet would be 3 pieces. EP/SP/Store content: Does NOT count as CC. You may use any items from the base game, World Adventures, Ambitions, High End Loft Stuff, and/or the Store content. As long as it's official stuff, you can use it as much as you like with no scoring penalty. We realize this may give a bit of an advantage to people with more official stuff, but it's just too much of a pain to score otherwise. Free/Pay: Doesn't matter for this contest. While we always encourage people to use free content and support free sites, if you choose to use CC, you may use pay items for this contest. Of course, if you would like to upload your house to MTS when the contest is over, make sure you use all free stuff! Scoring Bonuses: For using no CC or low CC, there is a scoring bonus for each round. See the "scoring" section below for details. Structure - Interesting architecture, unique interior layout, uses the foundation well, good roofing, etc. - 10 points. Decor/Furnishings - Well decorated and furnished (furniture, paintings, etc.) inside and out - 10 points. Landscaping - Trees, bushes, plants, ponds, etc. which add to the look of the lot - 10 points. Theme - Lot has a cohesive theme or style which works together with the architecture. You may choose any theme or style you want (even if that's just "contemporary"), but try to keep it somewhat consistent through the house - 10 points. Aesthetic - Attractive, nice colours, good flow, looks pretty - 10 points. Presentation - Good pictures, good angles, well-presented, interesting text descriptions - 10 points. Wow Factor - Not just a house but a really GREAT house, over and above anyone's expectations - 10 points. At the end of all of the rounds, we will add up each participant's score for all the rounds (your total score). Whoever has the highest score wins. This is a NO ELIMINATION contest. This means that even if you have the lowest score in a round, you can still continue with the contest. While there will be a winner and runners-up, the main point of this contest is to be a fun challenge to your building and decorating skills. Judging will be done by MTS staff and will be scored based on various points (detailed above). Judge comments are optional - judges are not required to make comments, but they may if they wish. PM me after scores are posted for each round if you would like me to PM you your judge comments. First Place: A one-time change of custom user title (of your choice), a specially-created unique avatar, and a "Contest Winner!" achievement on your profile. Second & Third Place: A specially-created unique avatar. All contest participants will get an achievement for doing so (including those with the highest scores). If you would like to donate an additional prize to the winners, please PM me. Each round lasts 1 week from the time of the round being posted There will be a total of four rounds, with a different foundation to build on each round, so the contest will last 4 weeks (if no extensions are given). Extensions will only be given if more than 20% of participants ask for more time to finish up their entries - but I don't mind holding the thread open for an extra hour or so after a deadline, if you drop into #create and poke me to let me know you're almost ready to post. Want to enter this contest? Great! Even though Round 1 has finished, even if you didn't get a spot in the contest, you can still participate in the Chat Thread! 1. Download and install the lot, attached to the third post in this thread. Double-click the sims3pack, open the Launcher and make sure it's properly installed to your game. 2. Load up the game, and place the lot from the lot bin into your neighborhood, on any 30x30 lot. There's at least a few in Sunset Valley. 3. Build your lot. Remember the rules above - the footprint of the house you build has to stay the same as the foundation - no adding or removing any part of the foundation or changing the footprint by other means. Build it up and finish it like you would any lot - walls, furnishings, lights, plants, beds, paintings, etc., in any theme or style of your choosing. 4. Take the required pictures and up to three bonus pictures (listed above) to the best of your abilities. Don't Photoshop them too severely (if at all). 5. Upload the pictures to any image host - Tinypic, Photobucket, Flickr, or Modyourpanties. 6. Start a new reply post here on this thread - click Go Advanced, and you can just click the little "Insert Image" icon in the toolbar, or just copy-paste the image location into some [img] tags. Make sure you put all your required images. 7. Write a description for your lot. How much you write, what you write, and formatting is entirely up to you - you can write captions for each picture, or a blurb at the beginning, or both, or whatever, as long as there is some text to go along with your lot. Make sure to mention somewhere in the text whether or not you've used CC - and if you have, what items are CC and how many there are, in bold! This will make scoring a lot easier for the staff! 8. Submit your post - doing so will submit your entry. If you need to edit or make changes to your post, you may, up until the time limit for the round. After that, no changes may be made to your entry. If you won't be able to participate in all four rounds, didn't get a spot for round 1, or don't want to follow the rules exactly, or just want to build but not compete, or just want to chat about the entries, please post in our Chat Thread! Last edited by HystericalParoxysm : 29th Jul 2010 at 7:42 PM. If you want to do more than one entry, please post your official entry here, and any additional ones in the Chat Thread! This thread is only for people on this list though - please do not post new entries here if you are not on this list! Contestants in strikethrough have withdrawn from the contest. Contestants in italics are still missing entries for this round. Contest entries are now closed - you can not enter anymore! Very sorry if you missed out - but you can still post your entries in the Chat Thread. Whoever gets the most "agrees" per round (by the time each round is closed - and this won't happen early from now on!) will get a special mention in the contest. Last edited by HystericalParoxysm : 1st Aug 2010 at 7:59 AM. Attached is a sims3pack containing Foundation #3, as well as a screenshot of that foundation. It is on a 30x30 lot (as all the foundations for this challenge will be) so it should be easy to place in your existing neighborhood. Please note that the front of the lot is the bottom of the image shown - see the sidewalk and mailbox at the bottom of the image? When you place the lot in-game, make sure that side is the front! There will be a scoring penalty if you get the lot the wrong way 'round. Round 3 ends on Friday, August 6th at 10:00 AM CEST! Round 3 has been extended by 24 hours to give everyone a chance to finish. You have eight days to build your lot and post your entry! Click here to see the time remaining for Round 3! Foundation #3, for MTS&apos;s official challenge. Last edited by HystericalParoxysm : 5th Aug 2010 at 9:44 AM. Please only post pics in this thread if you're posting an entry. Makes it a lot easier for me to scroll through and grab the links for the entry. You're welcome to post WIP pics and whatnot in the Chat Thread. Please post your pics as inline images using the [img] tags - this makes it a lot easier on our judges, who simply have to scroll through your pics, rather than waiting for them to load separately. Also, please put whether you have used CC or not in BOLD! - again, makes it easier to check your entry! Lastly... You cannot cover up the hole! No floating floor tiles over the hole! You have to figure out something to do with the hole! And just sticking a pool down there is laaaaazy. [header1]Lastly... You cannot cover up the hole! No floating floor tiles over the hole! You have to figure out something to do with the hole! And just sticking a pool down there is laaaaazy. You may put a fence around it, and stairs leading down to it, but you may not do floating floor tiles around the hole in any way. The hole has to remain holey. Last edited by Kaospilot : 29th Jul 2010 at 1:45 PM. Oh, god, I might just have to break the 'no-cc' rule (both personal and official) for this one. WHY does base game not provide skylights??!! YES!!!!! Ive wanted a hole in the middle for this whole contest!!!!! YES!!!! The Villa Mediterránea, as its name says is a Mediterranean building next to the coast. It's built in creamy and earth colors. It has two floors. The exterior has five terraces, a porch, three pergolas, stone paths, a fountain and lots of vegetation. The house has a living room, a kitchen, a double bedroom, a single bedroom, an interior backyard and a bathroom. HOW did you finish already??!!!! Yea, wow. Done already I love it, it's gorgeous! I'm struggling here lol Bad. Wow. 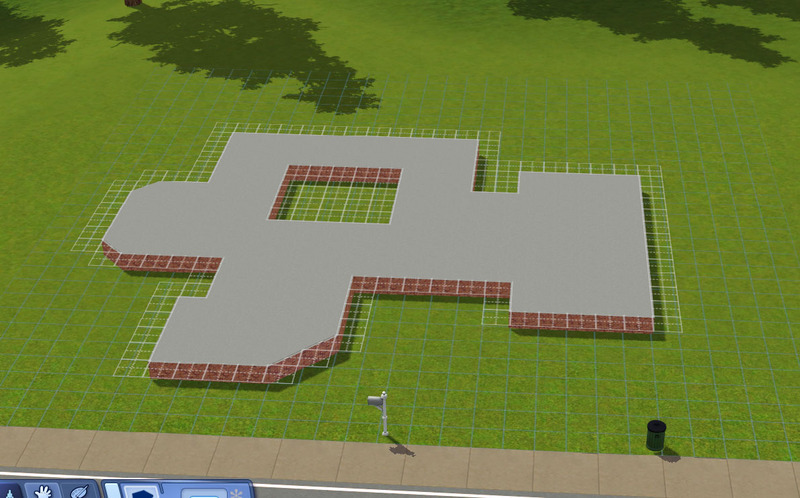 How do you manage to design 10 houses for college in one week and then do Sim building too? lol Do you sleep at all? Gorgeous home! Love the exterior, mix of brick and paint looks authentic. Okay, I asked in the chat thread, maybe HP will answer here. What is inline images and how do I code it? I googled about it, but was more confused than before looking it up. Well, she's a vampire, see? Hey, did you ever imagine your higher education might end up being so useful for... MTS contests? Anyway, I'm rather stumped this time around. With the second round I immediately know what I would build, but for this one, I'm coming up with blank. Inline images are those posted with the [img] tag. You just wrap the URL (http://www.site.com/image.jpg - or whatever) in an [img] tag on one side and a (/img) tag on the other... It should be  not () there but I can't post it like that or it'll eat part of my post. Or you can just click Go Advanced and click the little yellow image button and paste the URL and it'll do it for you automagically. This message has been deleted by Greenlea. Oh, that's the way I was doing it for round 2. I thought it was something new I needed to learn. Thanks for the answer.